Four Seasons at Beaumont is a favorite among active adult buyers who want a premier Southern California location, gorgeous views, world-class amenities, and modern homes. 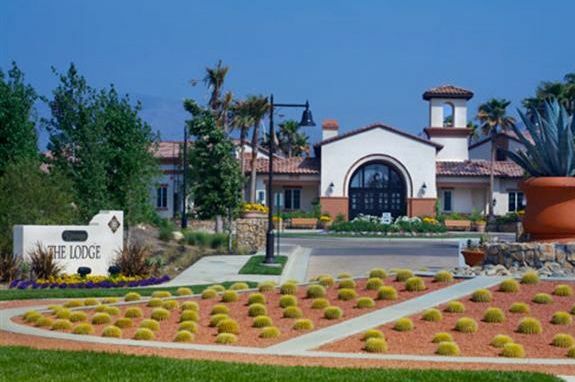 Located in Southern California’s Inland Empire Area, Four Seasons at Beaumont is a luxurious age-restricted community which offers resort-style amenities and spacious, modern homes. With an average of 300 days of sunshine each year, this mountain area is an ideal spot for nature lovers and outdoor enthusiasts. Four Seasons at Beaumont is also just 30 minutes from Palm Springs and all of its exciting attractions. 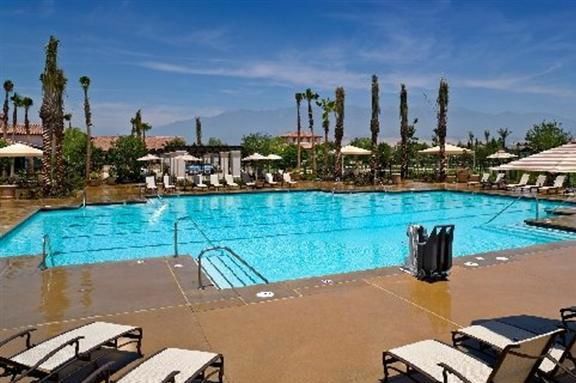 Four Seasons at Beaumont is set at an elevation of 2,400 feet between the San Gorgonio and the San Jacinto Mountains, offering spectacular views and a beautiful climate. This higher elevation makes summers in the Beaumont area about 15 degrees cooler than in Palm Springs. Its prime location also puts the community within close proximity of many different attractions, including world-class golf courses, fabulous restaurants, luxurious spas, and beautiful national parks. Multiple recreation areas within Four Seasons at Beaumont offer residents numerous resort-style amenities. As the centerpiece of the community, The Lodge is a spacious clubhouse where residents can take part in activities, mingle with neighbors and form new friendships. This impressive building houses hobby and game rooms, a theater, a library, a computer center, a grand ballroom, and an outdoor patio fireplace. The Lodge is also the site of The Bistro, a casually elegant restaurant which is reserved for community residents and their guests. Four Seasons at Beaumont offers excellent resort-style amenities. Four Seasons at Beaumont has a second recreation center known as The Beaumont Spa. This is where residents can really focus on their health. The state-of-the-art fitness center contains a range of cardiovascular and strength-training equipment, as well as a separate studio for aerobics, yoga and pilates classes. There is also a heated spa and a full-service salon. The community’s recreations also extend to outdoor amenities. In the heat of summer, residents are sure to enjoy taking a dip in the outdoor swimming pool or lounging at the water’s edge. Sports courts help residents stay active with games like tennis, bocce ball, shuffleboard or pickleball. There are also long stretches of natural walking trails which are perfect for hiking. In addition to these fabulous amenities, Four Seasons at Beaumont offers a variety of single-family and attached home designs. New construction homes are available in 25 different floor plans ranging in size from 1,183 to 2,775 square feet. Potential homebuyers can also choose from among the available resale homes within the community. With so many amenities, a beautiful climate and a prime location, it’s no wonder that older homebuyers are drawn to Four Seasons at Beaumont. Come for a visit and see why the Inland Empire Area is a lovely place for an active adult retirement.